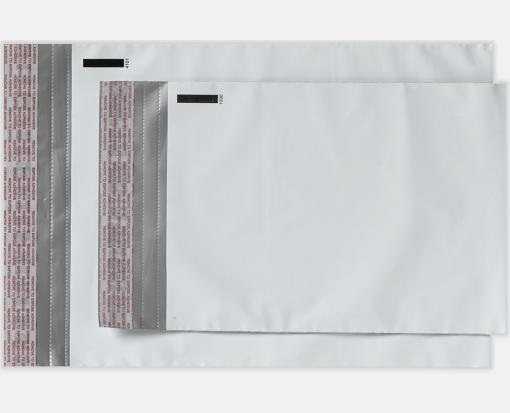 Durable, moisture resistant, co-extruded polyethylene, just the thing for mailing clothing and other soft goods, documents, metal or plastic parts, and pharmaceuticals. They are very strong and can hold a heavy load. Crisp, clean white plastic exterior gives a totally professional look.